Khao Lak was well on its way to being Thailand's next big travel destination, and that's when the December 2004 tsunami hit. 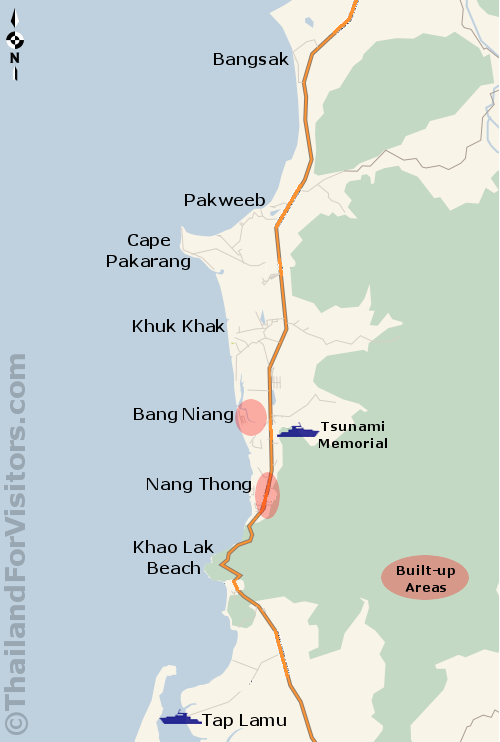 Almost every resort was hit, and several were completely wiped out. It's take years for the area to recover, but if you didn't know about it, today you would see very little sign of what happened here. Even the memorials, such as the police boat tossed 2 kilometers inland, are rather poorly marked.